Xiaomi’s Mi Max 2 was an affordable smartphone with a big 6.44-inch display and its successor looks to outshine it in a number of different ways. Rumors of the device began at the start of last year when it was reported the Mi Max 3 would be sporting a massive 7-inch display and using a 5,500mAh capacity battery to keep the lights on. Until now, all we have seen are references to the device on various mobile blogs and China’s TENAA certification website, but now a hands-on video suggests the previously rumored specs are all true. Along with the 7-inch 18:9 display that was rumored last year, there was also reason to believe the upcoming Mi Max 3 would be equipped with Qualcomm’s Snapdragon 630 or Snapdragon 660 SoC. This doesn’t seem to be the case, however, as the device’s TENAA listing showed it was using the Snapdragon 636 chipset. 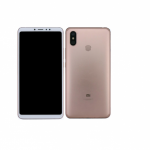 However, this TENAA listing also listed the Mi Max 3 with a 6.9-inch display and a 5,400mAh capacity battery. Thanks to a new hands-on video, though, we can see it’s advertising a 6.9-inch panel with a 12MP and 5MP rear camera setup and a 5,500mAh capacity battery. We have seen this discrepancy in listed battery capacities in the past and it’s likely due to the differences between the rated battery specification and actual battery specification. We are also expecting the Mi Max 3 to come with a 3.5mm headphone port, an IR blaster, and two out of three regional variants will support fast charging. There is also reason to believe that the upcoming smartphone from Xiaomi will include wireless charging and possibly an iris scanner. This information was obtained thanks to some firmware files, but have yet to show up in any official announcements from the company.